The taproot of the burdock plant is edible and commonly used in Japanese cooking. 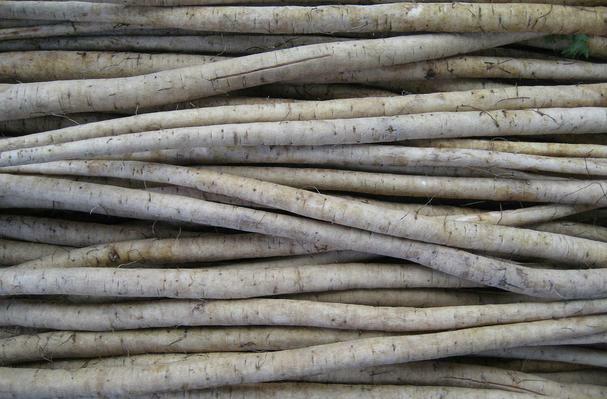 Burdock root is very crisp and has a sweet, mild, and pungent flavour with a little earthy harshness. To make more mild, it is peeled and pickled, soaked in salt water, or cooked in Sake.